Just in case you hadn’t heard, there’s a moving coming out about the relationship between Fred Rogers and a cynical reporter (Tom Junod as played by Matthew Rhys) who is assigned to do a profile on the children’s show host. Today we got our first look at Hanks in full-cardigan and we have to admit that he looks even more perfect for the role than we had anticipated. The as of yet untitled film hits theaters on October 18, 2019. 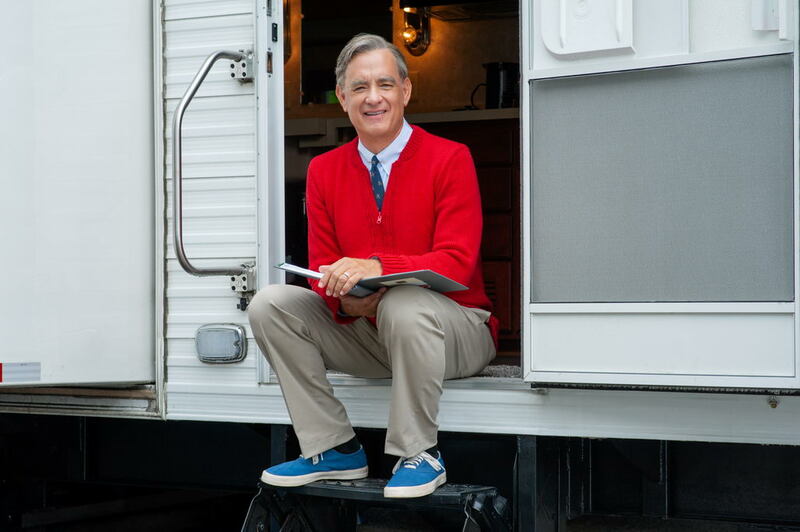 Two-time Oscar®-winner Tom Hanks portrays Mister Rogers in Untitled Mr. Rogers / Tom Hanks Project, a timely story of kindness triumphing over cynicism, based on the true story of a real-life friendship between Fred Rogers and journalist Tom Junod. After a jaded magazine writer (Emmy winner Matthew Rhys) is assigned a profile of Fred Rogers, he overcomes his skepticism, learning about empathy, kindness, and decency from America’s most beloved neighbor.